3 Deadly Sins of Poor Leadership (cont’d) . . . In a previous posting I began a series on the 3 Deadly Sins of Poor Leadership. My initial posting focused on not moving fast enough to replace poor performers, either for performance or behavioural reasons. This is especially damaging to the CEO or team leader’s credibility, since everyone in the organization knows who is not performing (remember, employees watch upper management and talk circulates quickly). Everyone watches the CEO to determine her level of courage and leadership. Keeping poor performing executives is also damaging to the overall culture, sowing the seeds of mistrust and lack of professionalism. I consider Leadership Deadly Sin #2 both debilitating and insidious, and unfortunately, far too common. The 2nd Deadly Sin of Poor Leadership is when the CEO fails to establish frequent open and direct communication with each member of the senior team, but instead rely on their direct reports to come to them when they need to talk. Leaders set the tone. If the leader doesn’t reach out regularly to have open conversations with members of the senior team, then they won’t either. 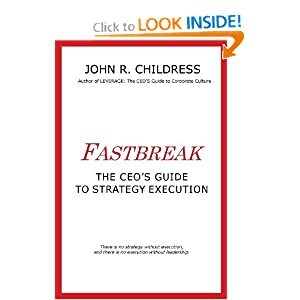 Consider the example of the CEO who believes that “I’m easy to talk to; if they have an issue my door is always open”, yet has failed to establish a habit of regular and open communications. If the CEO doesn’t reach out and meet one on one with her team on a regular basis, then they won’t reach back. As a result communication and respect tend to erode. The CEO is more than the boss and decision maker. Good leaders are also developers of people, helping the individual members of their team to develop their skills and talents, to become more aware of their weaknesses and shortcomings, and providing an open sounding board for ideas and personal and professional issues. But the leader who fails to take the first step and establish an open communication pathway, fails in long run. I have known several CEOs who believe that communication is “up to the other person”. If they need help they will come and ask. I have also known CEOs who are uncomfortable with the leadership requirements of direct, face-to-face leadership, and who tend to avoid having regular dialogues with their direct reports. It is not uncommon for CEO’s who hide behind “being too busy” to send out their performance evaluations via email! After working hard all year, how would you feel to receive a performance review from your boss via email rather than face to face? Even if it was an excellent review, wouldn’t you want to discuss it face to face? To probe further and learn more? One of the key obligations of leadership is direct, straight-forward, open and frequent communication, especially with direct reports. The role of leadership is to create more leaders, not more followers! 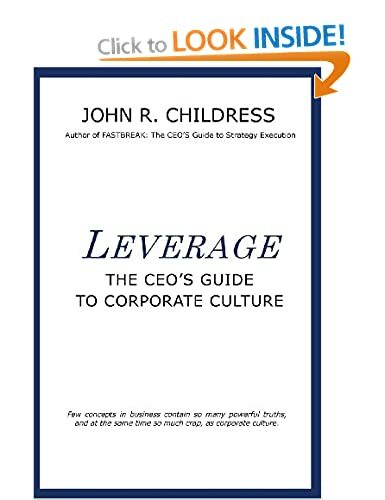 This entry was posted in consulting, corporate culture, Human Psychology, John R Childress, leadership, Organization Behavior, Personal Development, strategy execution and tagged Colin Powell, communication, email, performance reviews, poor leadership, Tony Robbins. Bookmark the permalink. 2 Responses to 3 Deadly Sins of Poor Leadership (cont’d) . . . Thank you very much for showing the qualities of leadership and how everybody should put in practice and not to let history repeat itself because of poor leadership.